Saturdays tend to be big breakfast days at our house. It’s the one day when we don’t have something going on, so it’s a good day to try more elaborate recipes. This is the breakfast we had this week. 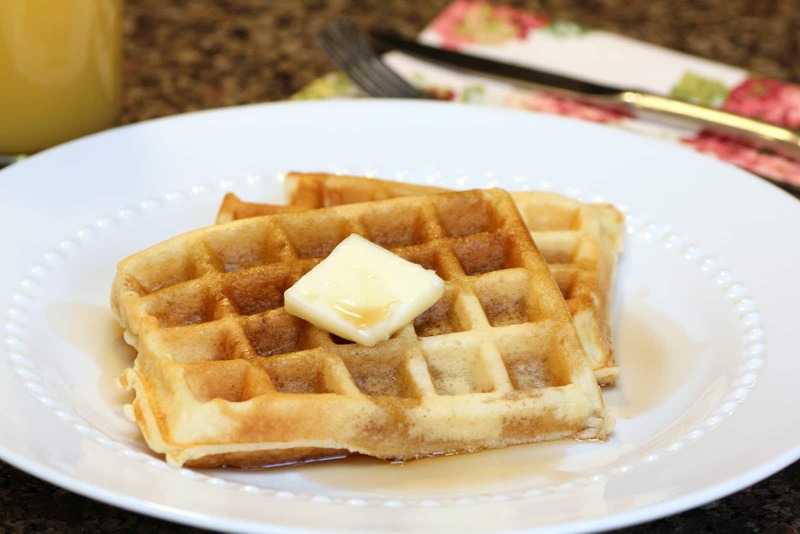 Whenever I make waffles I usually make them from the Bisquick mix, but I wanted to see how much better they would be from scratch. They were good. Definitely better then the Bisquick mix, but for the time and effort it takes to make them it almost evens out. The one thing that is for sure worth the effort is the syrup. I started making this syrup shortly after I got married. It was something my mother-in-law always made for my husband growing up, so of course, he won’t eat waffles without it. And I have to agree, once you try it, you can’t really go back so store bought maple syrup and be completely satisfied. Both recipes I felt were really yummy, but if you are going to try one out of the two, make the syrup. It’s amazing!! In a small bowl, combine the flour, baking powder and salt. Combine egg yolks, milk and butter; stir into dry ingredients just until moistened. In a small mixing bowl, beat egg whites on medium speed until soft peaks from; gently fold into batter. Bake in a preheated waffle iron according to manufacturer’s directions until golden brown. Top with confectioners’ sugar and fruit or serve with syrup. 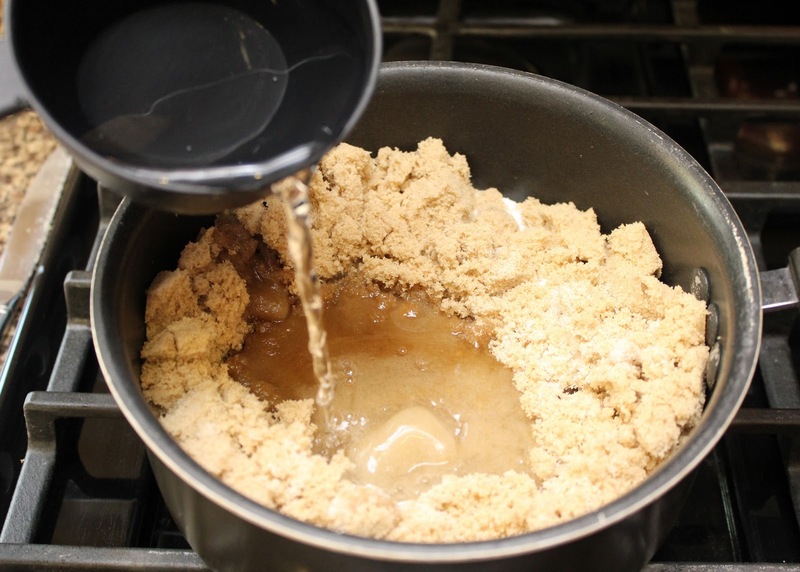 Combine brown sugar, sugar and water in a saucepan. Heat until mixture comes to a boil and boil for about a minute. Let sugar water cool slightly then add vanilla and maple flavoring before serving.